Explanation: How large do things appear when far away? When peering across the universe, the answer can actually tell us about its average gravitational history and hence its composition. 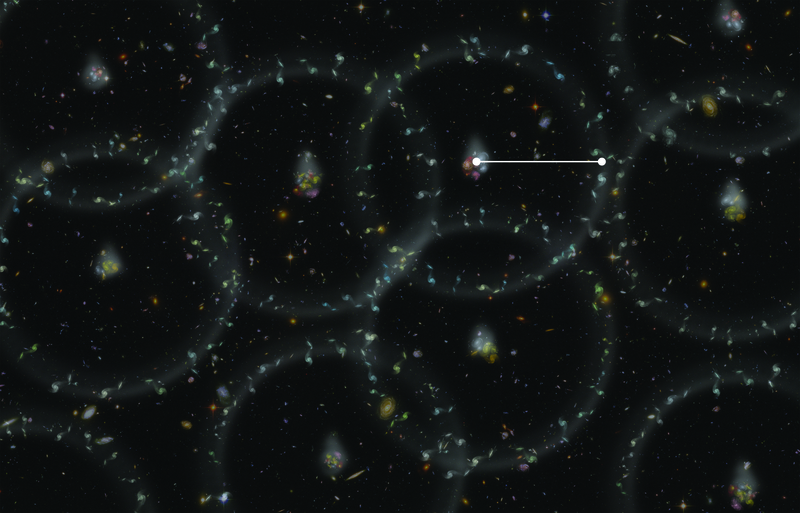 Toward this goal, the Baryon Oscillation Spectroscopic Survey (BOSS) of the Sloan Digital Sky Survey-III (SDSS-III) has measured slight recurring density enhancements in galaxy densities up to six billion light years away (redshift 0.7), when the universe was about half its current age. These density ripples are known as baryon acoustic oscillations (BAOs) and are expected to emerge from the early universe at a known size scale. 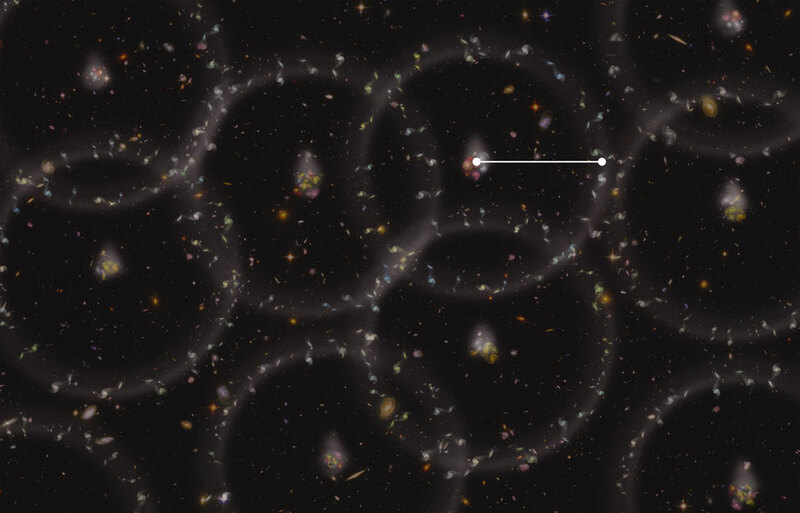 BOSS's measurements of this size scale indicate a strong universe component of dark energy, and so bolsters previous indications of this unusual composition. Pictured above is an artist's illustration depicting exaggerated BAOs in the distant universe.